Brico PIPE is a black color low density polyethylene pipe, with indelible marking, manufactured with selected resins to guarantee long life and high reliability. 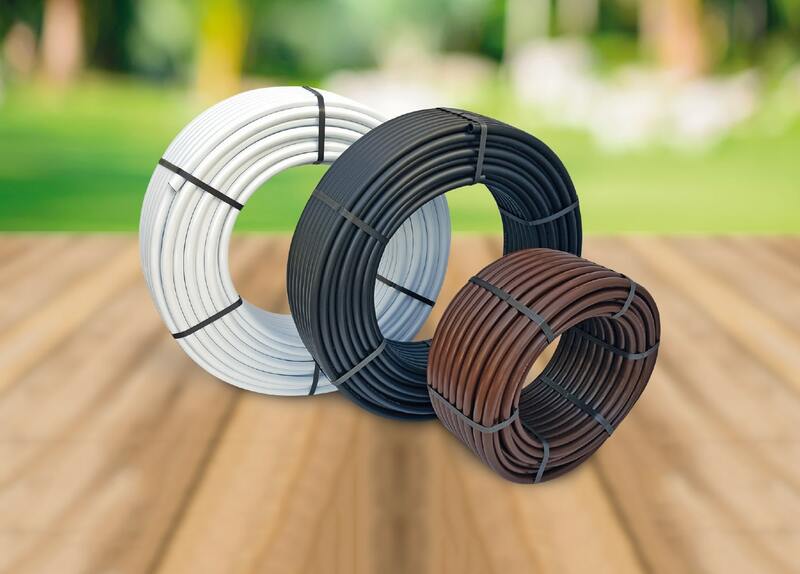 This pipe is suitable for irrigation installations on small cultivated fields, gardens, hedges, balconies, terraces, etc. It can be used as main line or junction for drippers and Microsprinklers. Available also in brown or white color for better camouflaging on the ground or on the walls of the terraces. Brico Pipe in diameters and variable length is suitable for DIY installations. Raw Materials: Medium density additive Polyethylene. Complies with standards UNI 7990:2004.